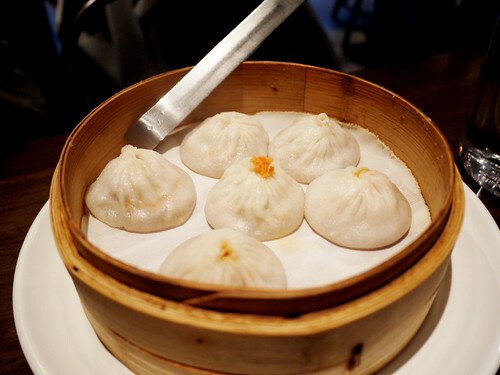 In brief: Thank goodness for Bionic Bites, who pointed us in the direction of The Bao. It took us awhile to parse the menu and figure out what to try. We ended up with sauteed string beans, wonton in spicy sauce, cucumber garlic and the famed crabmeat pork soup dumplings. Everything was delicious. The wonton shell was delicate with a slight yield and a perfectly balanced filling. The spicy sauce was spicy but not fire engine red. The only sad moment were the string beans, though through no fault of the preparation. The saute part was well done but the string beans themselves were not the best. Everything was so lovely that we will be traveling to the East Village again soon for lunch at The Bao.